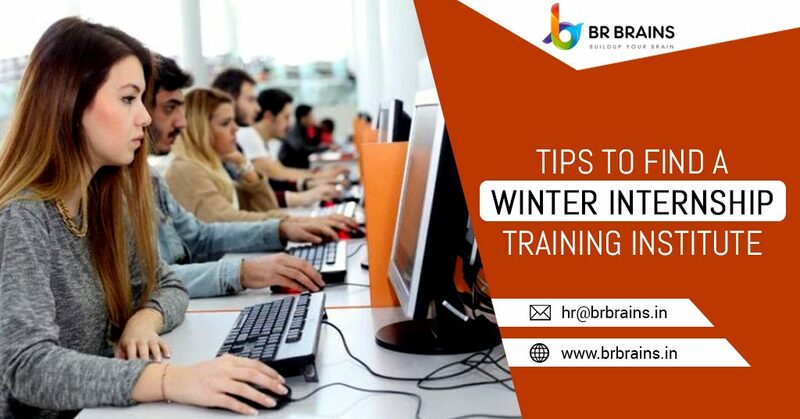 Winter vacation is about to start and this is the perfect time for college students to enhance their skills and prepare them for their job interviews which use to held at the end of the year. Many students are wasting their valuable winter vacations by relaxing or enjoying free time with family and friends. But as a student, you need to make the best use of your valuable time, and for this, you have to focus on your career. If you want to get a perfect job, then you can start winter internships, through which you can build new skills or can easily increase your creativity. If you are not prepared to face the challenges in the corporate environment then you can use your winter vacation to train yourself by opting a winter internship. Winter internship for CSE students gives the experience of the industry with under the guidance of industry expert people. A lot of uncountable benefits associated with gaining a winter internship. When you take training from the right place, you learn a lot and get both knowledges, practical and theoretical, you can learn the ethics of the industry and also understand wherever the rules of training are to be applied. A winter internship for engineering students, the renowned organization helps you to understand the way the industry works. If you are taking training from a small company or a firm, you get frustrated with their environment. Valuable company certificate helps you to apply all the knowledge that you have gained from their training. A winter internship for CSE students, provide a lot of opportunity in their future goals and work, a student takes internship from the best company, they can mention on their resume, so the interview doesn’t count the student as a fresher. A paid internships help you get a true feel of the job. Struggling in a corporate atmosphere helps you to improve a certain amount of discipline. It helps you to improve your skills and concept with an ability and strengthen your basic knowledge about a particular subject. Sit with your mentor and discuss that topic you have some confusion in their concept, usually, mentor have great knowledge in their field. They have a lot of students who have achieved great designations in big organizations. Suppose you don’t have whom to approach for getting an internship option you may approach your professors. Discuss with them what kind of internship you want, they will surely help you. It can be easier for you to get an internship with the recommendation from the professors. Normally we have a lot of friends and our senior, your friends and classmate surely looking out for good internship training. Stay with communicating and touch with your friends and senior they have an interest in the same industry ask them they will give you the right suggestion. In a group of friends many of applying different institute or company. To follow this way get to learn and discuss to understanding. Another way to seek better internship options is by contacting your any seniors who have experience and joined in any big company. Mostly seniors have more knowledge according to you and checking out multiple options. They can tell you the right way, to find a good winter internship in Jaipur. Also, help you or guide you on how to solve the challenges. The new generation almost has their smartphone, and find out their any requirement online. Today multiple options are available online. You should check out before joining any institute, that gives a brief account of your knowledge skills and core competencies. You must read out about the company before joining them. Nowadays, there are many options for a winter internship, but all internships are not equally helpful. You should try to various options and only opt for the one that offers you enough for the time you join. Need to set a gold in your mind when you join a company for your training program. Below we mention a couple of vital goals. A winter internship for engineering students joins a training program where you are allowed to work on a live project and focus on more practical. You should be able to apply things you have to learn in the college campus. If there is not an arrangement of practical work, you should never join the company. Try to join a company they have run their live project or a reputed company. A training program can be worthwhile only if these things are achieved during the course of the training. Ethics and work culture seem like insignificant things that can learn even when you join the company. You should try to make yourself concept in programming. If you wish to be part of a big organization. Firstly, make sure that you are able to handle most basic things. Winter internship training, your future career depends on your ability to snag internships so why not make it a profitable learning and financial venture for yourself. Never be intimidated by the prospect of finding a paid internship. You should need to take the right steps if you wish to succeed in your career. People who take their internships seriously may even end up getting jobs in the same company. If you are looking for a winter internship in Jaipur. BR Brains one of the best academies for the beginner. When your internship is complete we will provide you a Google and Microsoft certified certificate that will help you anyway.